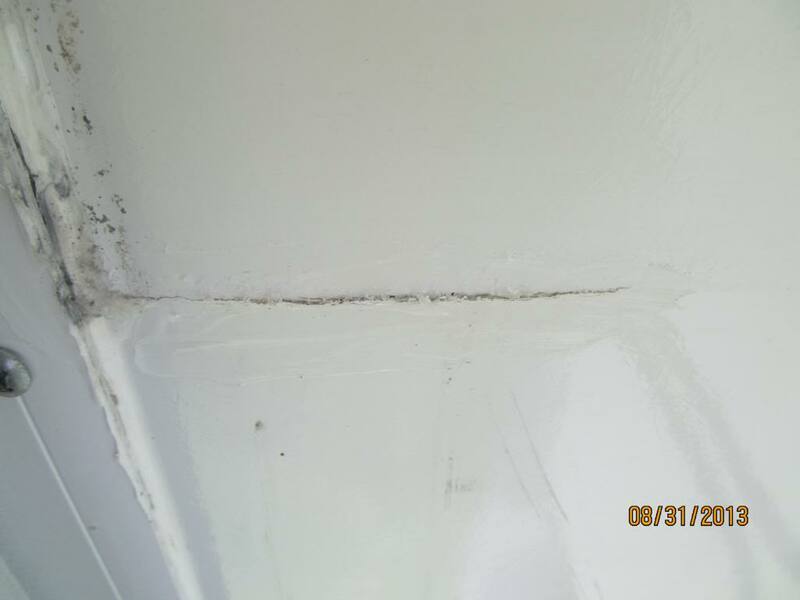 Have you had problems with the fiberglass cracking under the bed slide. I was told by a Factory service rep. that a possible solution to the problem is to add a plate for the rollers to roll on as the slide goes in and out. slide floor and add structure and a smooth surface. <!-->. The slide has the Schwintek In</span>-Wall Slide system. The slide was completely re-built last fall and the cracks have re-appeared. We had a similar problem - the rollers on the bottom of our bedroom slides wore away the water proofing and exposed the wood floor. The Crossroads Service Center fixed it by installing 10 metal six inch plates. They had to lift the slide upward and insert the metal plates over the rollers and then screw them in. All-in-all, a very nice fix. It is actually easier to extend/retract now. Seems like a reasonable fix! Our 2012 36RL doesn't have fiberglass under the bed slide. It is a black material. Its not rubber, but I think some man made material that feels like e flexibility to it. I don't know if its the same stuff that adamsvr has or not, but so far no sign of problems. Adamsvr - - Thanks for the info. Will be contacting Crossroads and the dealer that worked on Unit last fall. When they modified our slide they removed 3 of the exterior rollers and installed 4 under the bed. That leaves only 2 rollers to support the outside of the slide as it goes in and out - I think this may be stressing the fiberglass and causing the cracking. I found some photos of the 2013 models and them went back to 4 exterior rollers. On our 36RL, with the slide-in-a-slide, our main slide has six rollers on it, and the smaller slide where the bed is, has four rollers. I would recommend this configuration, as ours does not have any stress cracks in it. I'll be looking for cracks on our new 36RL. Our former RV (a Titanium) had a similar issue, the fix was aluminum wear plates screwed on to the bottom of the slide, it was an easy fix. Appreciate all of the reply's! I'll let you know how I make out. I am having a similar problem on 2013 RE the waterproofing material is falling and the sub-structure is wet. No sign of leakage from plumbing nothing under the bed and nothing showing in the washing machine plumbing chase. It looks like the floor will have to be replaced. I wish I could find out where the water is coming from. Has anybody else had anything like this? There could be a leak on one of the water hoses located under the bed. Removing the wood platform cover should provide access to those hoses.